This little guy looked like he was ready for a business meeting! 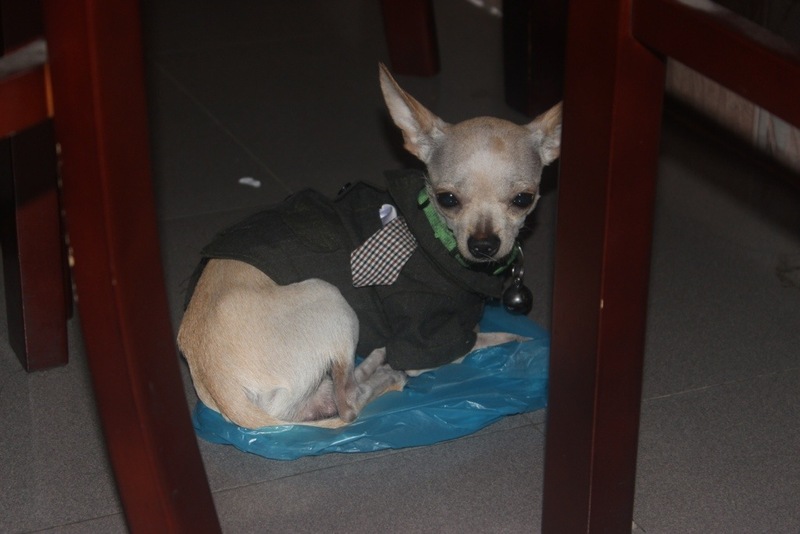 We were at a restaurant in Saigon when Emerson saw something run by the back table and it was this tiny guy. He was all fancy with a little tie on. He had a blue plastic bag that he made into a comfy bed. Man, we miss our Kiko!